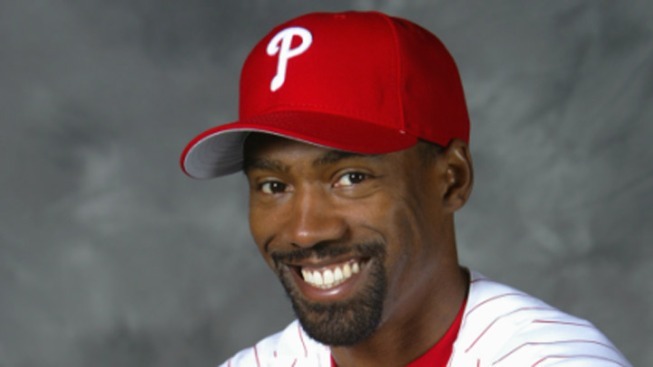 Doug Glanville spent nearly a decade playing outfield in the major leagues and spent five of those years with the Phillies. So when he was scheduled to throw out the first pitch before yesterday’s sweltering Phillies/Cubs game, you would have assumed that Glanville would do a decent job of it. After all, he’s been forced to hit the cutoff man in the past. How hard could throwing a first pitch be? Turns out, quite hard. The good folks at the 700 Level scored video of Glanville’s pitch from yesterday, and his throw is shockingly horrible. Watch the vid above to see for yourself. He airmails that thing a dozen feet above the catcher’s head. If he had been pitching in a real game, seven runs would have scored on that pitch alone. Even PhillieBot had a better first pitch than that. It got me thinking about where Glanville’s pitch ranks in terms of the worst first pitches of all time. And wouldn’t you know it, someone on YouTube was nice enough to compile the ten worst of all time, with Mariah Carey at #1. Watch here for yourself. My favorite is the Charlie Brown mascot. Because he’s a mascot trying to throw a ball. Glanville’s pitch is more egregious than many of these, simply because I EXPECT Mariah Carey to throw a first pitch directly into the dirt. She isn’t burdened with expectations the way Glanville deserves to be. Even one of the Twitter guys at least got his pitch into the catcher’s mitt. So hang your head in shame, Doug Glanville. On this day, you are a former Cub and not a former Phillie.